RM 1/c Wallace R. Middick, son of Mr. and Mrs. W. R. Middick, attended Wilson High School and Tyler Bus. College. 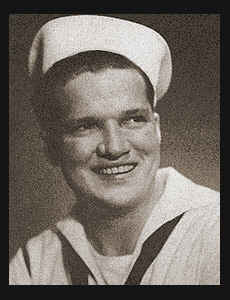 Entered Navy in June, 1942, trained in San Diego, Cal., Portsmouth, R. I., Boston, Mass. and Madison, Wis.; served in Guadalcanal, the Russells, Talogia, Saipan and the Philippines; is now on duty in San Francisco, Cal. Awarded Asiatic Pacific Ribbon.